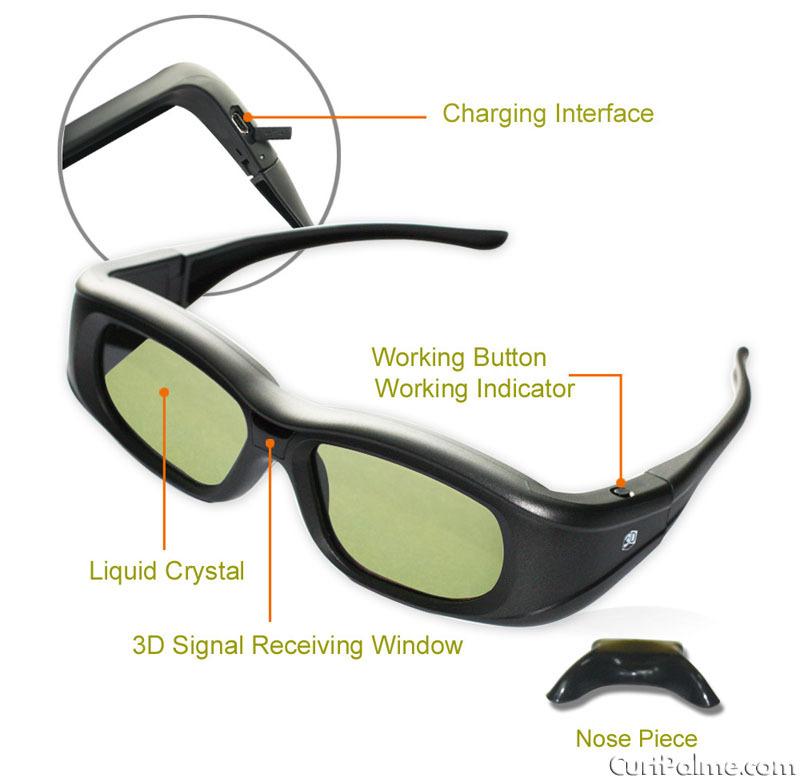 These RF glasses have been have been tested with 100% success on numerous Epson Home Cinema 3D Projectors. Why spend $80-$90 for Epson glasses when you can get these for half the price! These rechargeable 3D RF Glasses by 3D VIP have been tested with 100% success with the following Epson Home Cinema 3D Projectors: Epson 750HD 2030 3020 3020e 4030 5020UB 5020UBe 5030UB 6020UB 6020UBe 6030UB and also the Epson Europe models EEH-TW550 EH-TW9200 EH-TW9200W EH-TW9100 EH-TW9100W EH-TW8100 EH-TW7200 EH-TW6100 EH-TW6100W EH-TW5910 and EH-TW520 (to name a few). These glasses will also work when paired along with the original Epson ELPGS03 that came with the projector, they work just as well. Note: The RF emitter is built in to the Epson 3D Projectors listed above, so no RF emitter is required for these glasses to work. You can use an unlimited amount of these RF 3D Glasses at once. After charging these glasses fully with the included USB charging cable just turn them on and they will automatically pair with your Epson Projector. Unlike IR (Infrared) 3D glasses which need line of site and can be adversely affected by fluorescent lights, these glasses use far superior RF (Radio Frequency) technology to keep the glasses 100% synced with the projector. Moving your head or walking away into another room will not cause the glasses to lose sync with the 3D projector and the 3D content on-screen. What projectors/TVs do these glasses and emitter work with? Epson Europe models: EH-TW550, EH-TW9100, EH-TW9100W, EH-TW8100, EH-TW6100, EH-TW6100W, EH-TW5910 and EH-TW5200 (to name a few). Newer models should also work. Note that these RF glasses will not work with the older Epson 3010 and 5010 5010UB 6010UB as these use IR (Infrared) 3D Glasses which are an older line of sight technology. Only the newer Epson models listed above are compatible.